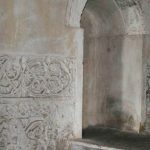 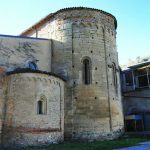 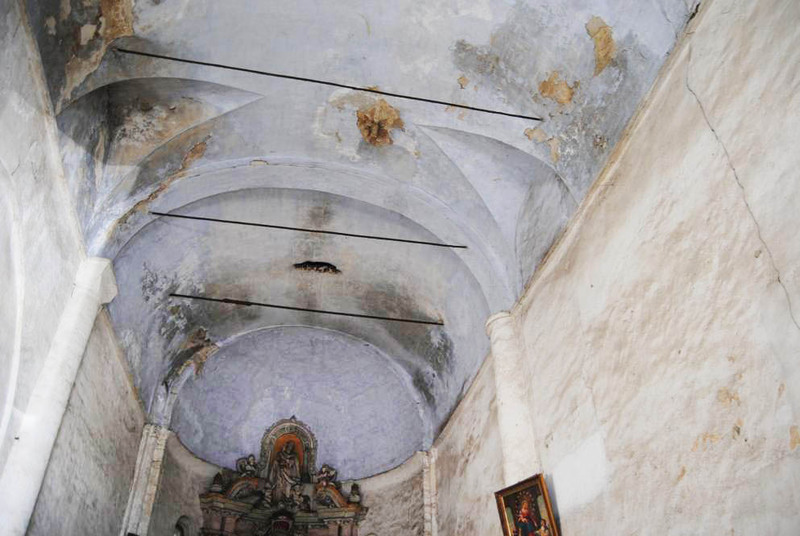 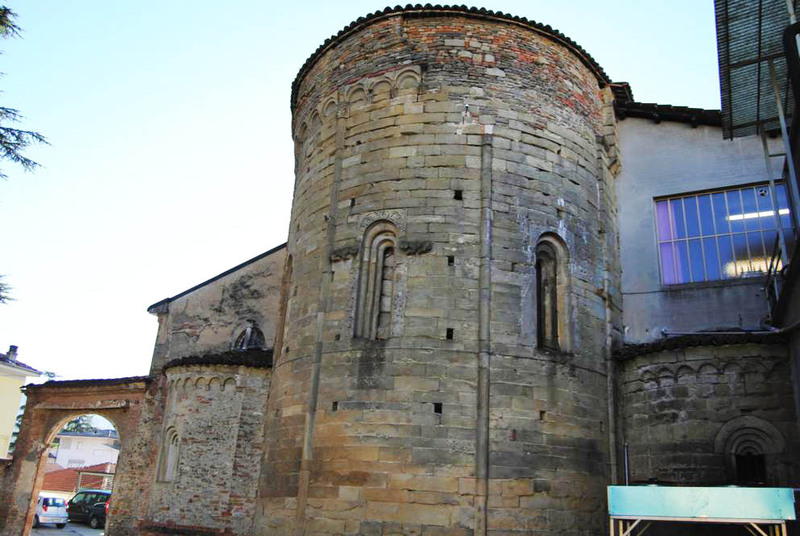 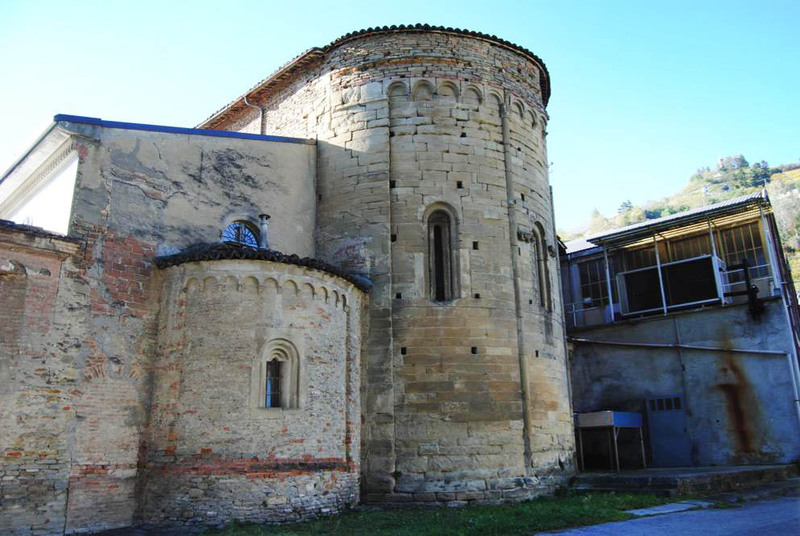 Benedictine monks built the abbey of San Gaudenzio on what some believe is the site of a Roman temple, perhaps dedicated to Jupiter Capitolinus. 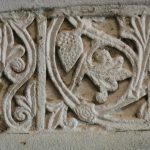 The Benedictines can take credit for having introduced the cultivation of grapevines on their land. 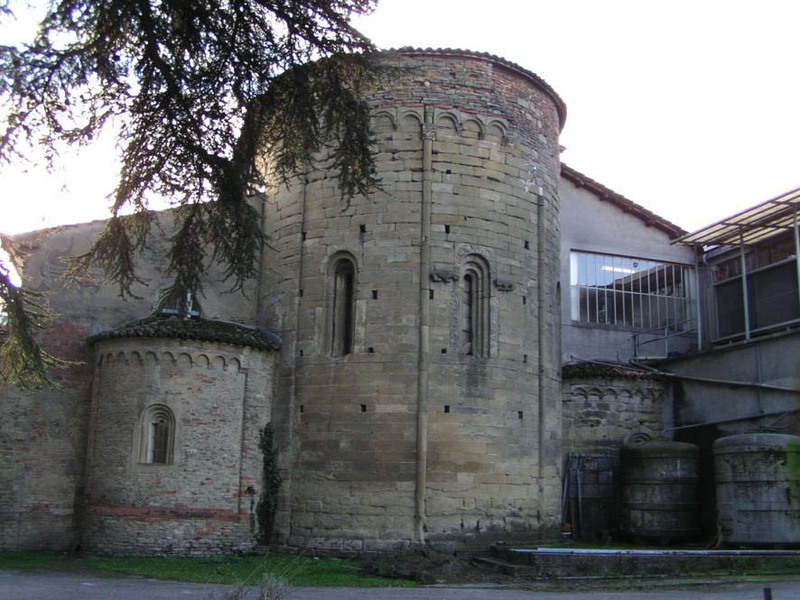 Still and sparkling wines of excellent quality are still produced around this abbey. 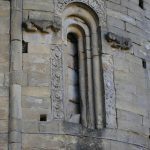 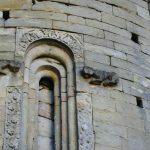 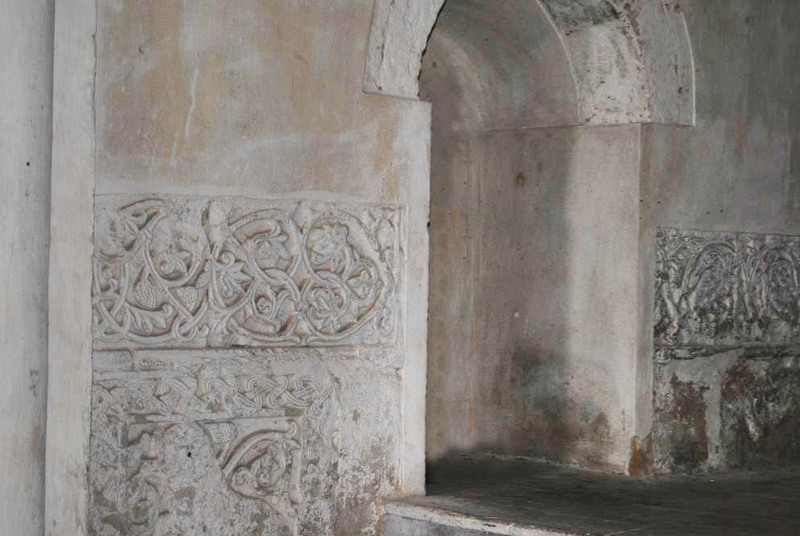 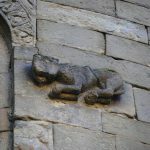 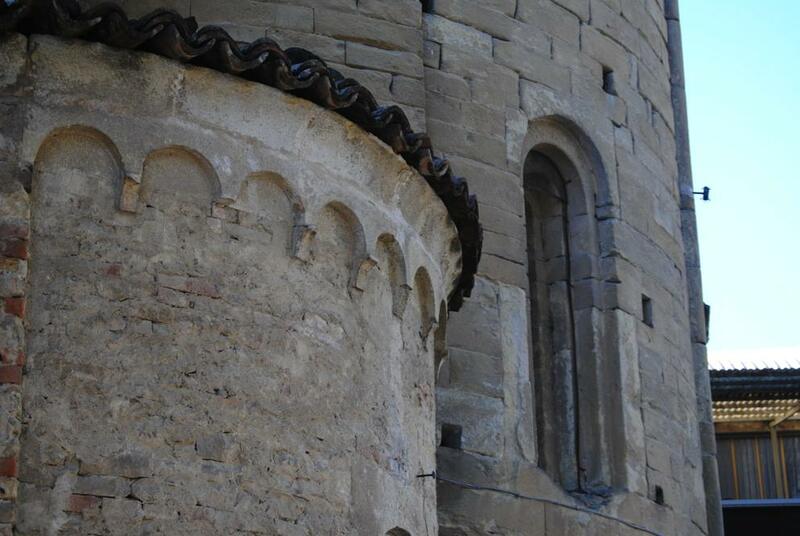 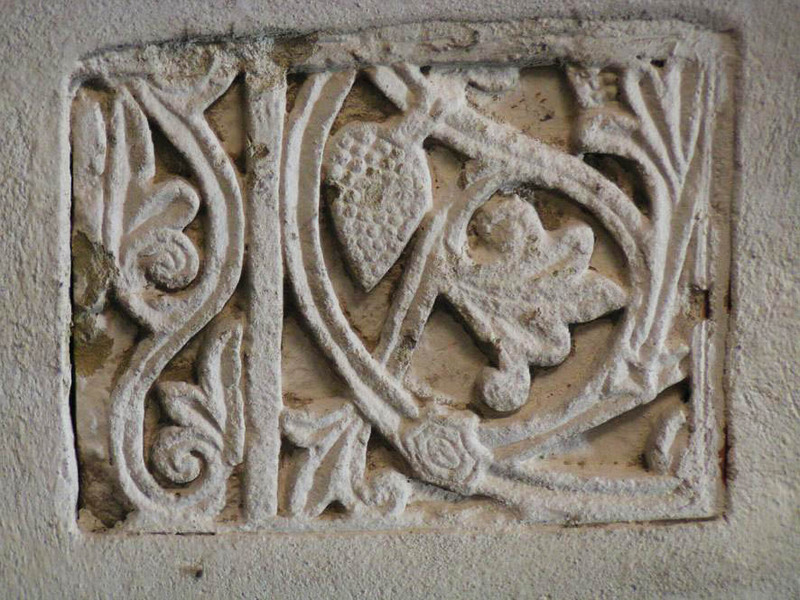 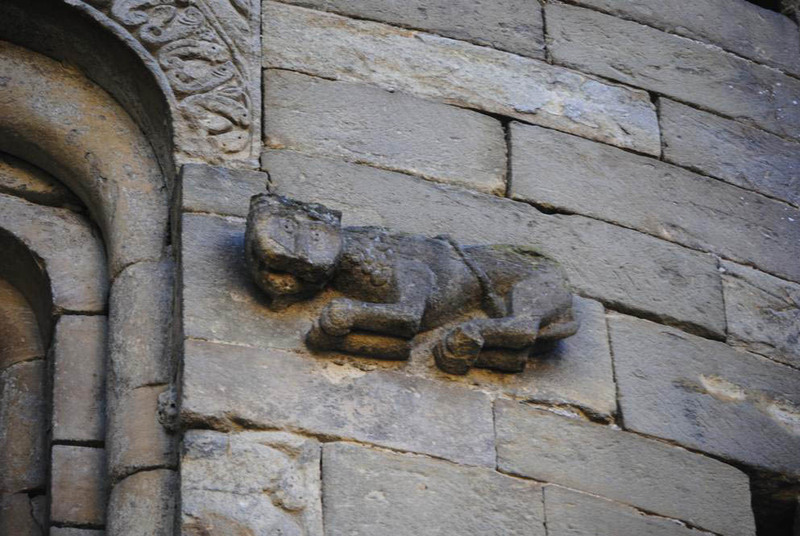 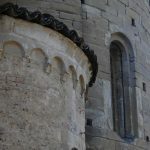 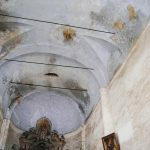 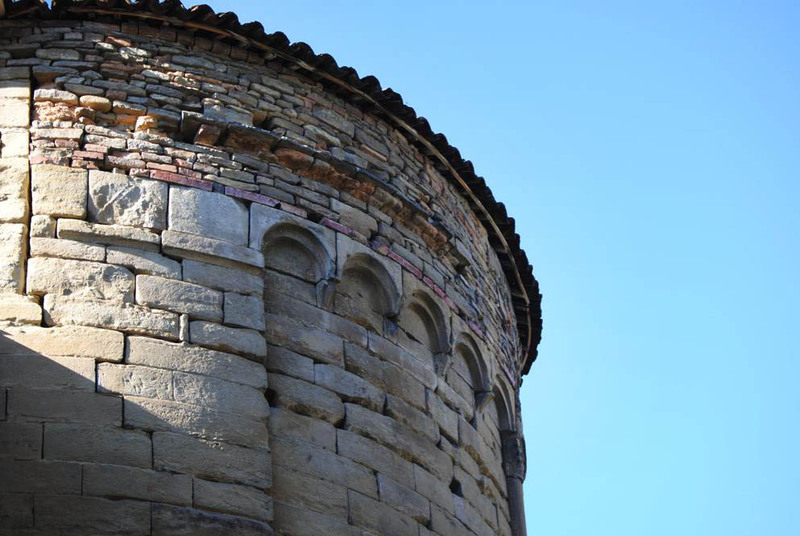 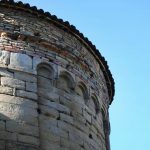 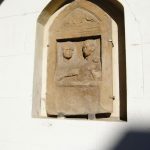 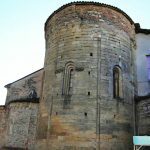 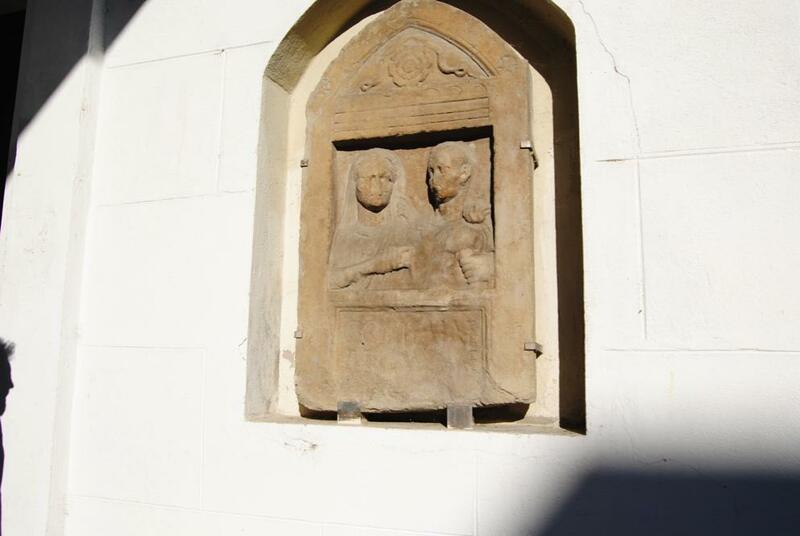 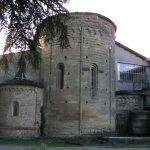 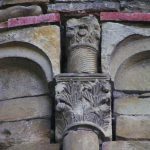 In fact the historic building has been incorporated into a winery, though some original architectural elements are still present: parts of the main section, the three semi-circular apses in sandstone with single-lancet windows and Lombard bands, mosaics and carvings. 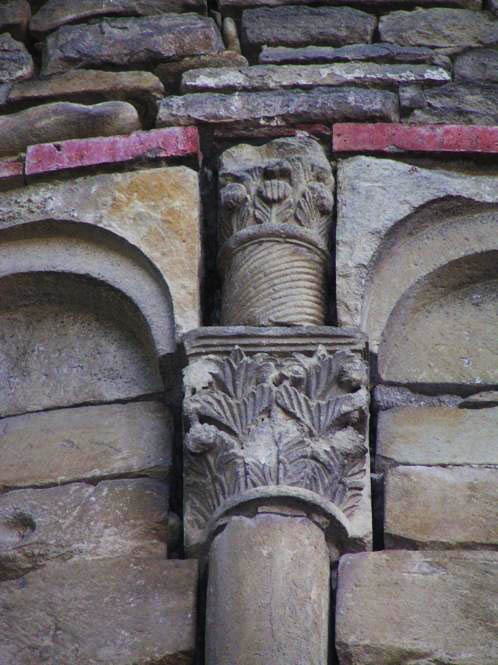 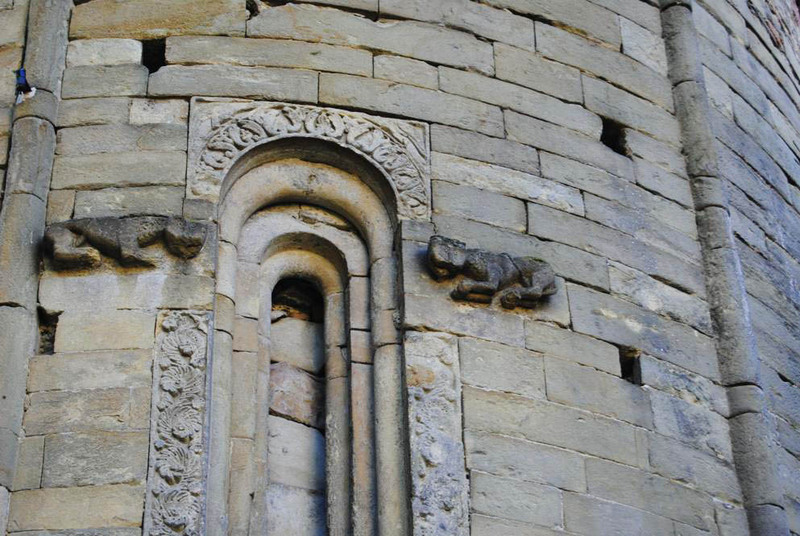 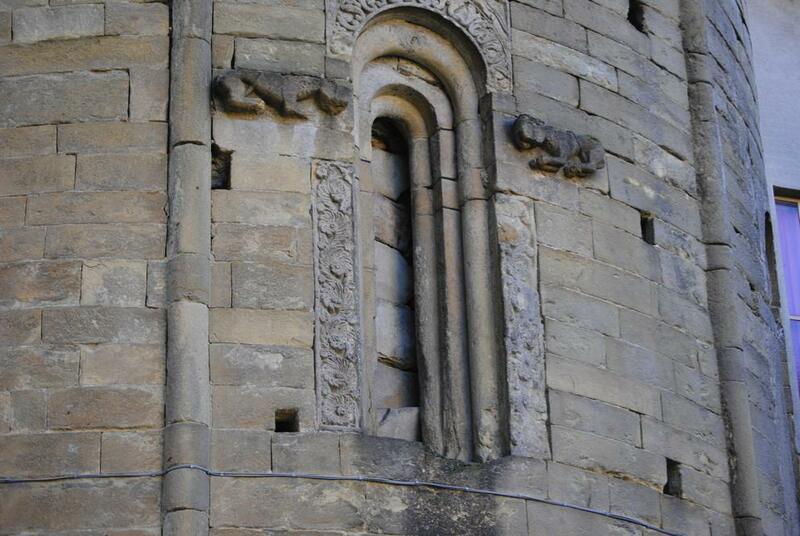 The single-lancet window in the central apse has interesting decorations of plant volutes, paired fish and two lions placed symmetrically to defend the opening.